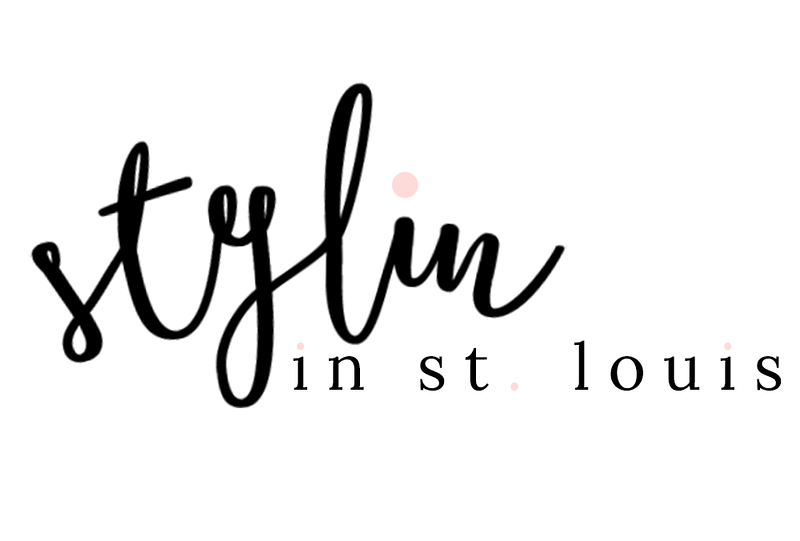 Stylin in St. Louis: Bloggers Who Budget: Florals for Less…. 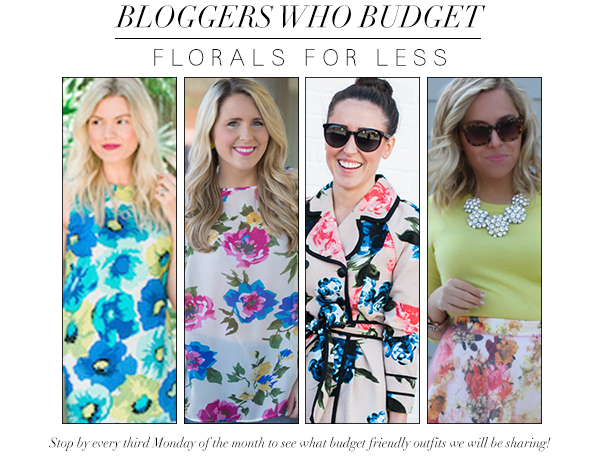 Bloggers Who Budget: Florals for Less…. Hi everyone! Happy Spring! 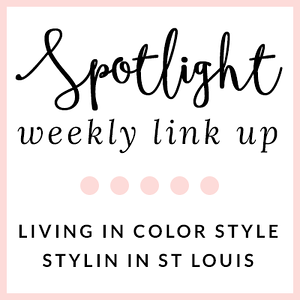 This month the Bloggers Who Budget theme is florals! Perfect to celebrate the first week of spring! I love cheerful fun colors in the spring! This outfit has probably been most colorful I have been in quite some time! I am so in love with this skirt! It's gorgeous! Oh, what a beautiful skirt! I didn't realize until I clicked on your post that the skirt had a little tulle on it. So pretty! I also love the clutch. 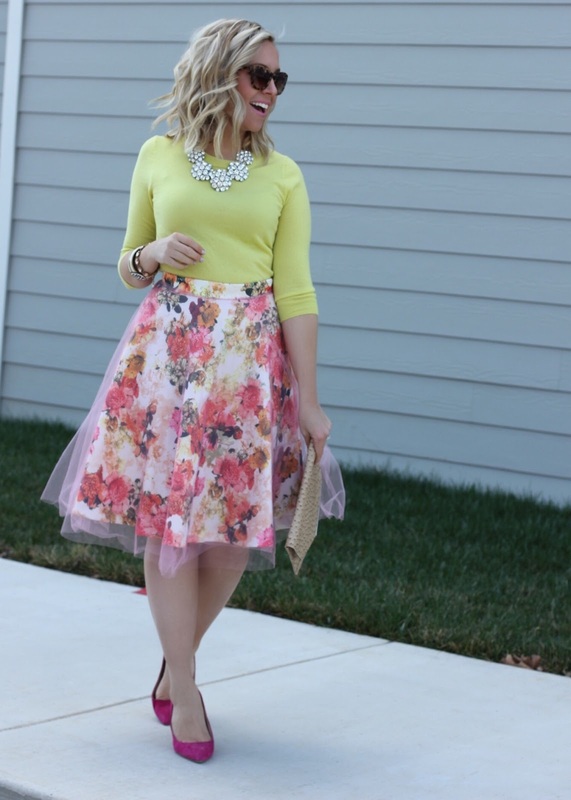 Such a fun skirt and perfect for Easter this weekend! You look adorable! 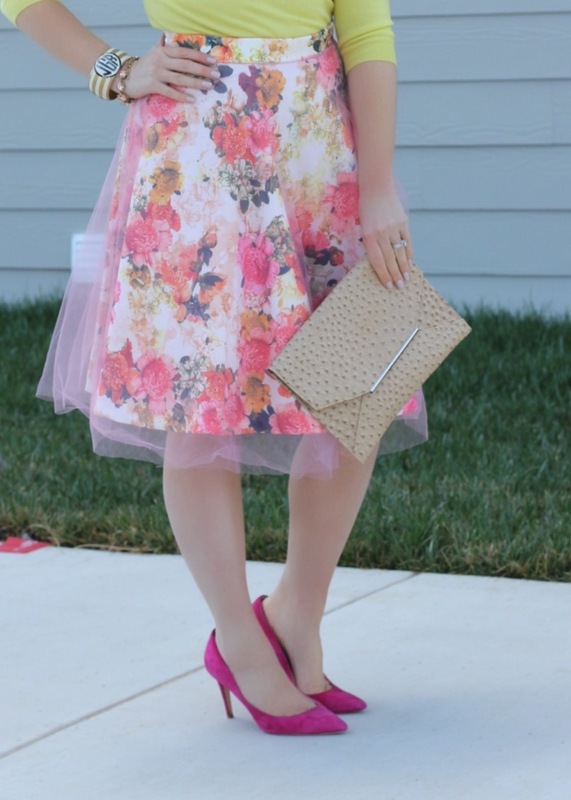 This is a perfect look for spring or easter! That floral skirt = gorgeous! I love that you paired it with lime, which gives the outfit more pop! Love this styling! 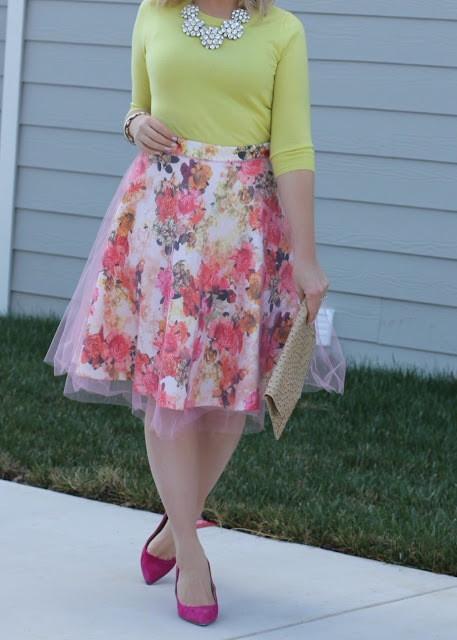 the yellow top pairs perfectly, and I love the tulle overlay on the skirt! You look beautiful, Jacqueline! I love the entire outfit, but, of course, the skirt is fabulous! what a fun skirt! you look darling! Gorgeous floral skirt. You are stunning.